Let 2019 be the year that you build your dream home, with help from Chi-Mar Construction! We specialize in custom home building, from the ground up. Our full-service team will connect you with the resources you will need throughout your project. Need an example? Take a look at 37 Creek Bridge, a custom Chi-Mar Construction home! Large windows bring in natural light to this living room, making it feel like a home. 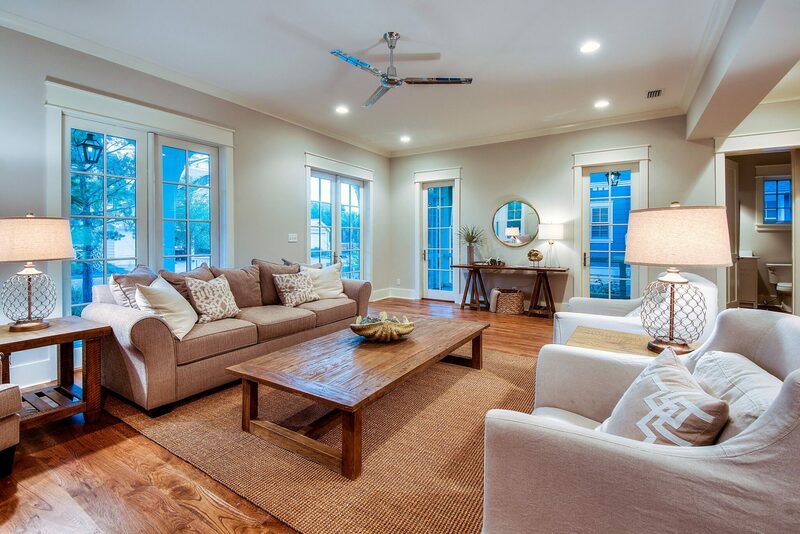 With wide plank, natural flooring, a unique ceiling fan, and light walls give this home beach-inspired feel, without being overpowering. With an open floor plan, guests can easily move from the living room to the kitchen, without missing a moment. The backsplash shimmers against the sunlight, and the white countertops give this kitchen a modern, sophisticated look. 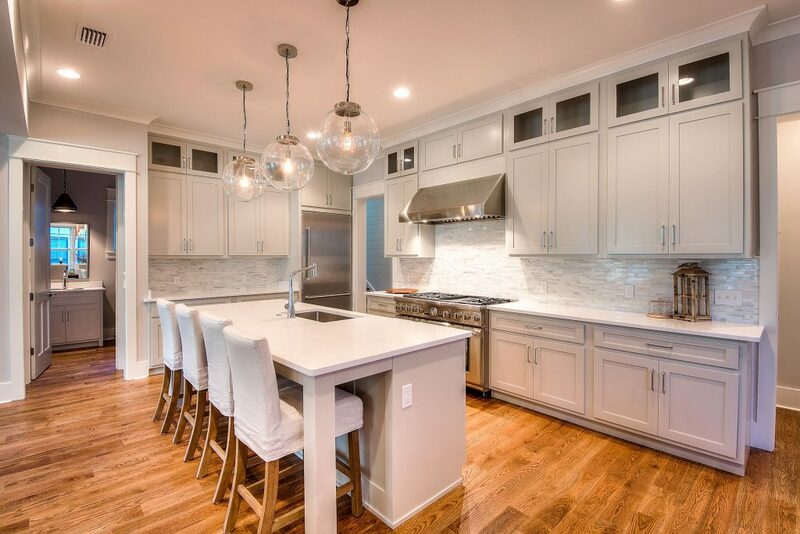 With top of the line appliances, this kitchen truly is a chef’s dream! 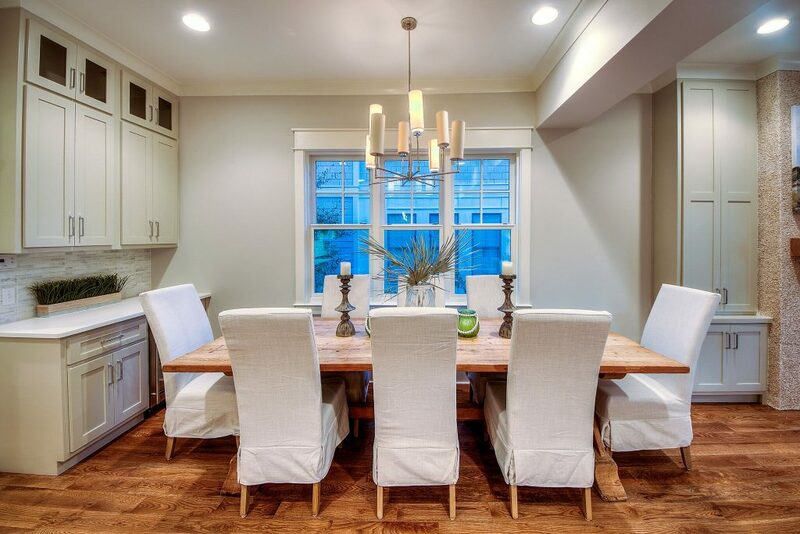 Right off of the kitchen is the dining room, so entertaining during a dinner party is always easy! With built in cabinets, additional storage is readily available, or there’s plenty of room for a bar! 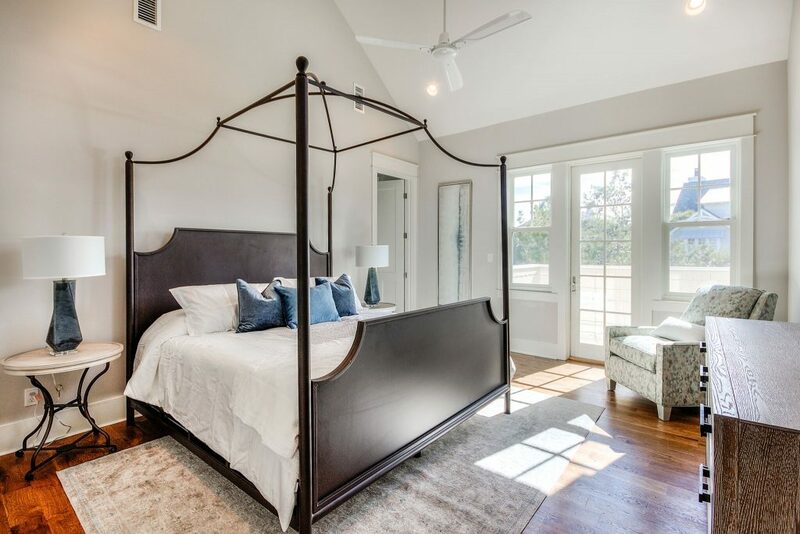 Every home needs a place to relax and reset, which is why Chi-Mar Construction places a high importance on the master bedroom. A vaulted ceiling keeps the room light and airy, while a private balcony is the ideal spot to recharge. Whether you’re getting ready for the day or winding down after work, the master bathroom needs to be versatile. 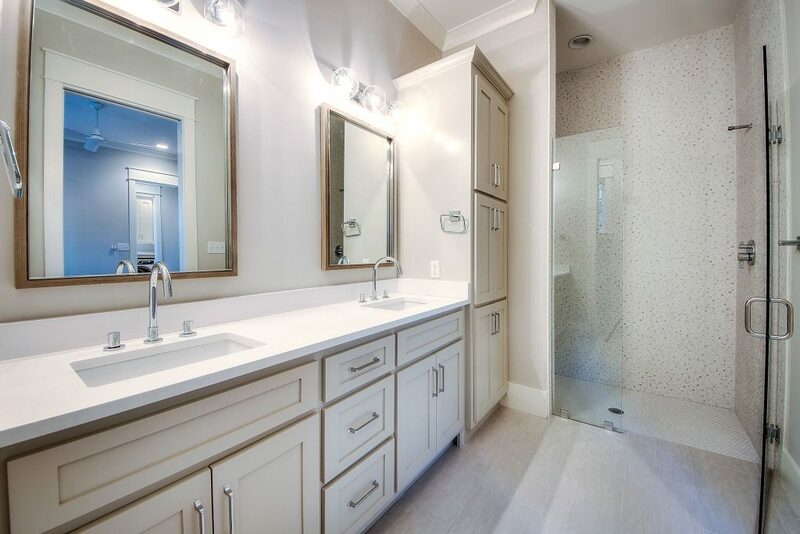 With plenty of storage, a double vanity, and a beautiful backsplash, this bathroom is the perfect example of a stunning Chi-Mar Construction bathroom. So what are you waiting for?! Call today and start building your dream home with Chi-Mar Construction!